Welcome to my website. I am a PhD student in robotics and artificial intelligence at the Knowledge-Based Systems Groups of Prof. G. Lakemeyer, Ph.D. at RWTH Aachen University. My main research interest is cognitive robotics, specifically robust planning and execution on mobile robots with distributed and persistent memory. My focus is on autonomy for robots, that is their own inherent capability to reason about their environment, make choices, coordinate in a group, and follow a long-term course of action to accomplish specific goals. Especially in robotics contexts, even seemingly simple planning problems can pose dire challenges. Plans need to be created frequently in short time. We address this challenge modeling the planning domain and proble, as well as the search, directly using Answer Set Programming (ASP). In particular, we model the search to only yield a partial plan with a limited lookahead and apply a useful metric to ensure progress over several planning iterations. We use the multi-shot solving capabilities of the Clingo solver to tackle the most pressing performance issues. Robots often plan for the same or very similar goals. We exploit this by storing successful plans in a database and then extracting frequent action sub-sequences. We than calculate macro operators to speed up further planning. In this work, we support the STRIPS subset of PDDL. To bridge the gap between the robotics and planning communities, and to provide a common evaluation testbed in crossover researc in these areas, we have created the Planning and Execution Competition for Logistics Robots in Simulation. This paper gives an overview of that competition. During operation of robots large amounts of data are produced and processed for instance in perception, actuation, or decision making. Nowadays this data is typically volatile and disposed right after use. But this data can be valuable and useful later. Therefore we propose a database system that taps into common robot middleware to record any and all data produced at run-time. 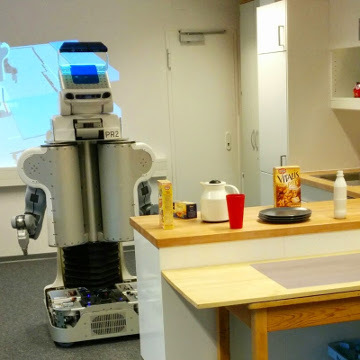 We present two examples using this data in fault analysis and performance evaluation and describe real-world experiments run on the domestic service robot HERB. Francesco Leofante, Erika Ábrahám, Tim Niemueller, Gerhard Lakemeyer, Armando Tacchella. 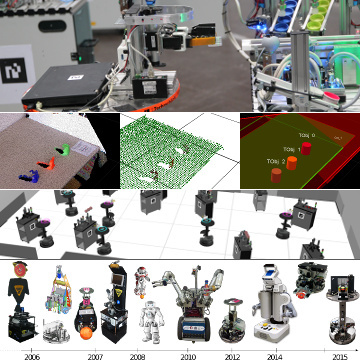 Synthesis and Execution of Optimal Controllers for Multi-Robot Systems in Logistics. Information Systems Frontiers, 2018. Bjoern Schaepers, Tim Niemueller, Gerhard Lakemeyer, Martin Gebser, Torsten Schaub. 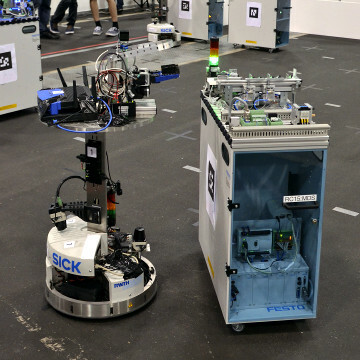 ASP-based Time-Bounded Planning for Logistics Robots. Proceedings of the 28th International Conference on Automated Planning and Scheduling (ICAPS), 2018. Tim Niemueller, Till Hofmann, Gerhard Lakemeyer. 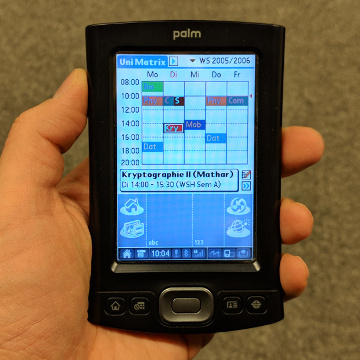 CLIPS-based Execution for PDDL Planners. Proceedings of the 28th International Conference on Automated Planning and Scheduling (ICAPS), WS on Integrated Planning, Acting and Execution, 2018. Tim Niemueller, Gerhard Lakemeyer, Francesco Leofante, Erika Ábrahám. Towards CLIPS-based Task Execution and Monitoring with SMT-based Decision Optimization. Workshop on Planning and Robotics (PlanRob) at International Conference on Automated Planning and Scheduling (ICAPS), 2017. Tim Niemueller, Gerhard Lakemeyer. Towards an Integrated Approach to Planning and Execution. Planning and Robotics (Dagstuhl Seminar 17031), 2017. Tim Niemueller, Frederik Zwilling, Gerhard Lakemeyer, Matthias Löbach, Sebastian Reuter, Sabina Jeschke, Alexander Ferrein. Cyber-Physical System Intelligence - Knowledge-Based Mobile Robot Autonomy in an Industrial Scenario. Chapter in Industrial Internet of Things: Cybermanufacturing Systems, 2017. Our tutorial Cognitive Robotics in Industrial Settings Competitions has been accepted for AAAI 2018.